The messier the hair, the better, we say! 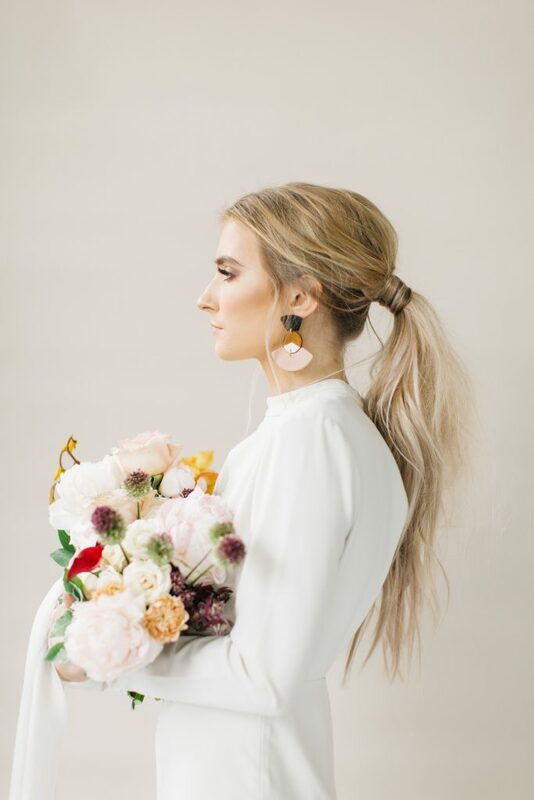 Undone wedding hair is ideal for the laid-back or boho bride. 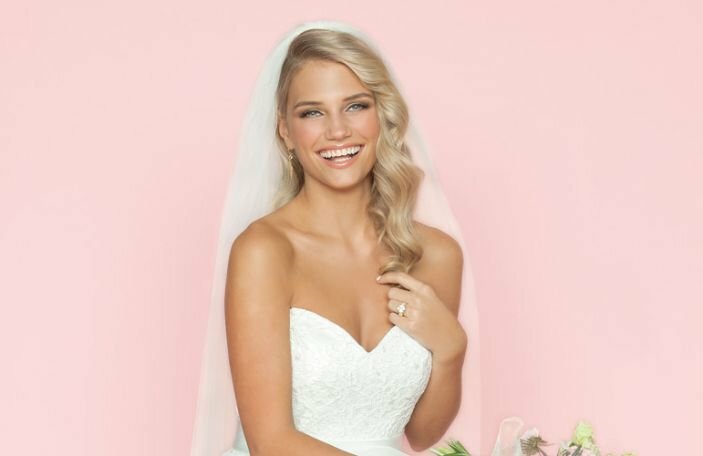 While the more traditional, sleek bridal hair is gorge, we're big fans of the messier look. 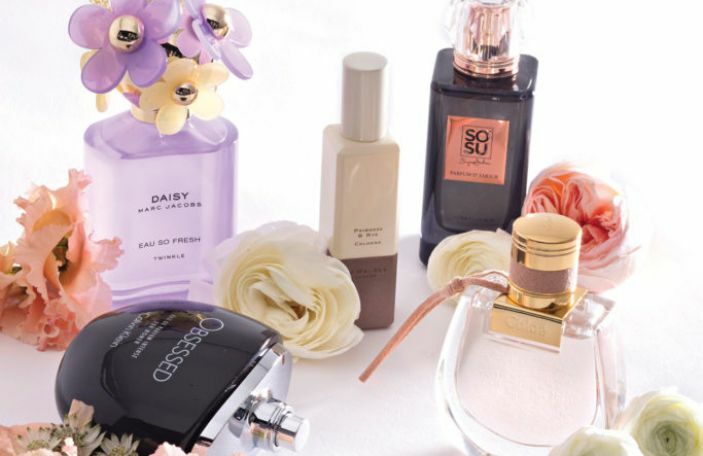 Read on for some of our favourite messy, undone styles. 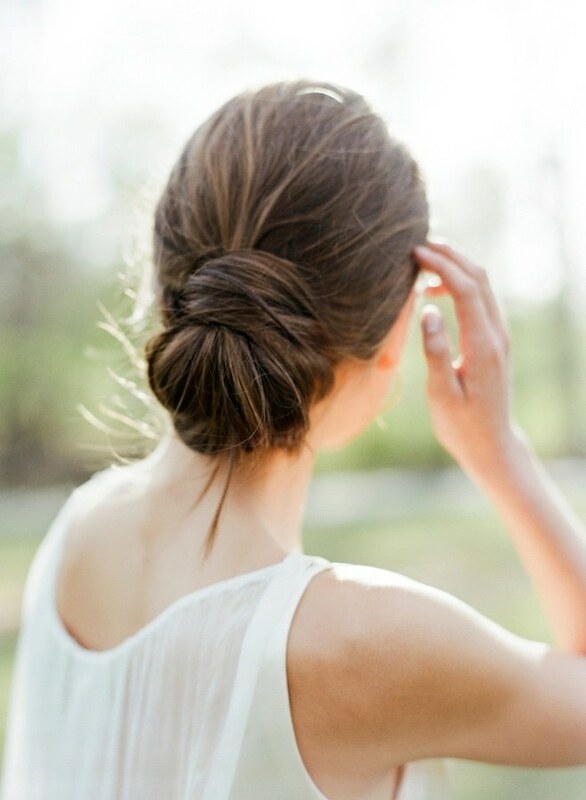 The ever elegant, classic chignon bun will never go out of style. Give it a little modern twist by adding texture spray to create that loose, undone look. 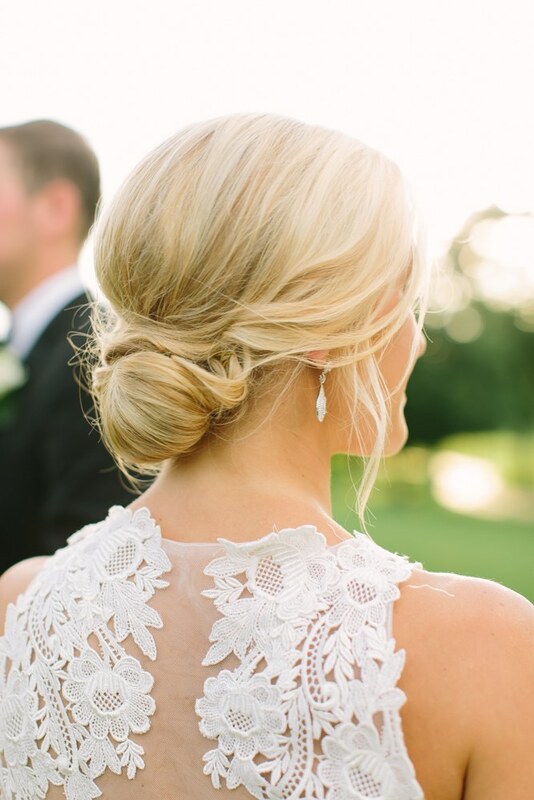 Pull down a few strands at the front to frame the face and finish off your bridal look. Elisa Bricker captured this beaut! 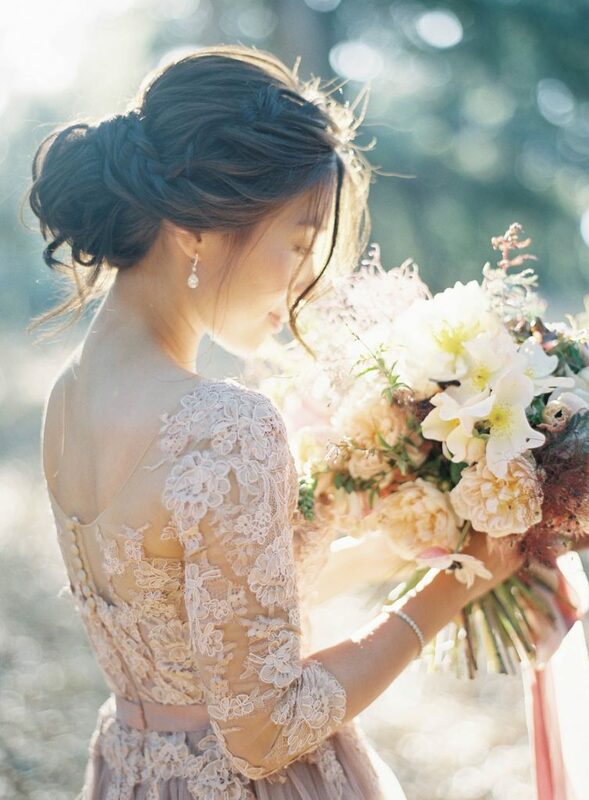 This may not be for everyone, but we love nothing more than a bridal ponytail. 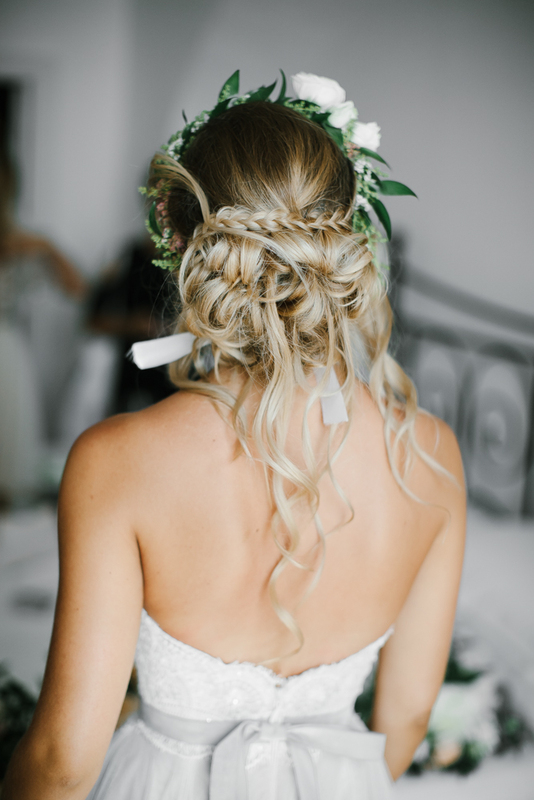 This is the perfect way to give your bridal hairstyle a more modern kick. 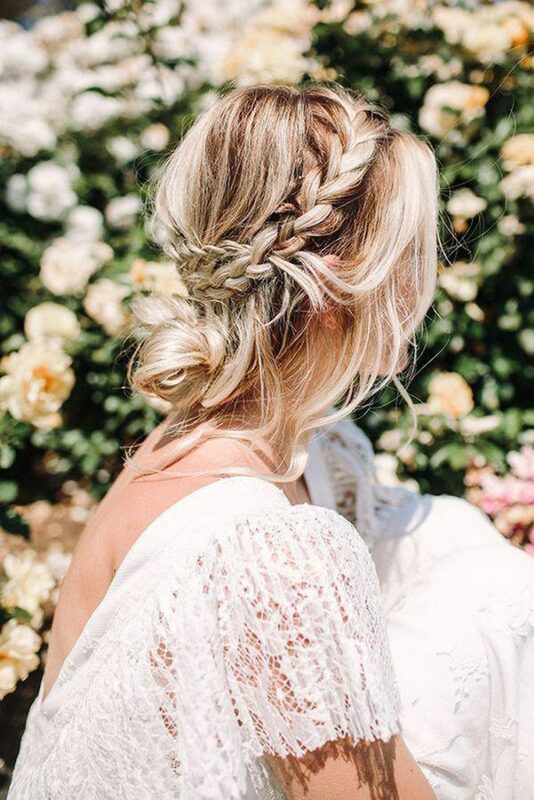 This is the ideal style for a hot summer wedding, in our opinion, as your hair will be up out of your face, and you won't be melting away. Hooray for that! From Sarah Seven's stunning campaign! This one is for the boho bride in all of us. 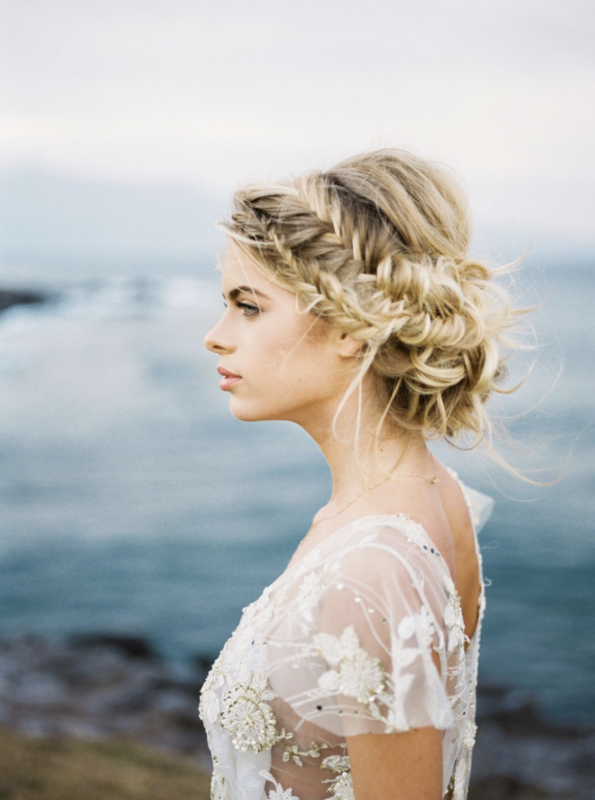 Braids are a fantastic way to add texture and movement to your bridal hairstyle. 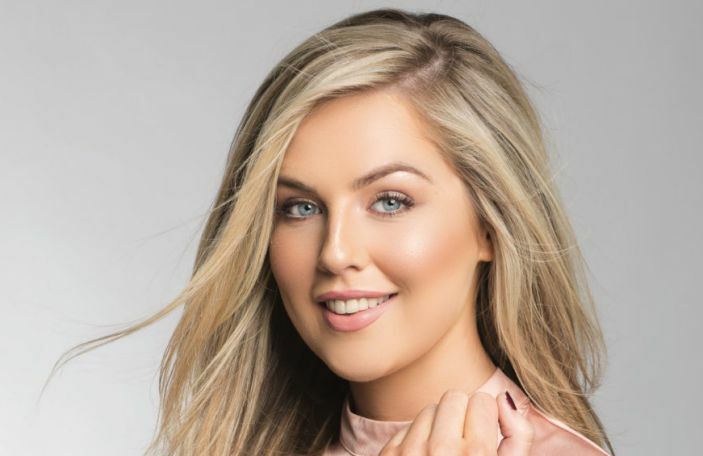 Whether you go for a waterfall braid, fishtail plait to the side, French plaits, halo braid or the classic plait, there's something to suit everyone's style. On the hunt for your glam squad? 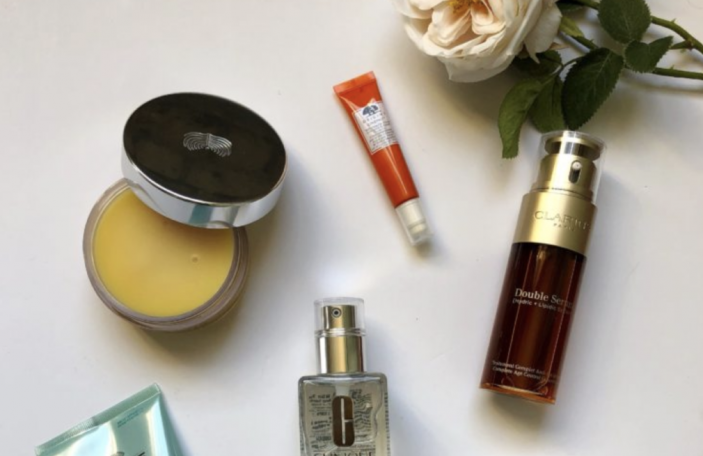 Check out some of our faves here!